An artist of enormous power, maturity and intelligence Nami Ejiri combines sensitivity and brilliance, world class pianism and charismatic command of the audience. Hailed by the international press as an “artist of perfection” Nami Ejiri is winner of the prestigious Vianna da Motta International Piano Competition in Lisbon in addition to her numerous victories in the international competitions of Japan (Tokyo and Sonoda), Italy (Porrino, Casella, Cantu) , Austria (Beethoven) and Poland (“Chopin” Warsaw). 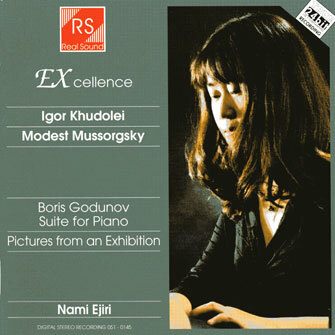 Among Ms. Ejiri’s awards is the “CD of the Month” which she received from the “Piano News” magazine for her Mussorgsky recording in 2002. Ms Ejiri’s recent concert tours took her around the globe, from Poland and Germany, through France and Portugal to Mexico, Brazil and Japan where Nami Ejiri played with such world renowned orchestras and conducting luminaries as Gulbenkian Orchestra/ Lawrence Foster, Kurashiki Music Festival Orchestra/Takashi Asahina, Mexico State Symphony/Enrique Batiz, Warsaw Philharmonic/Kazimierz Kord, Polish National Radio Orchestra/Antoni Wit, Polish Chamber Philharmonic Orchestra/Wojciech Rajski, Toho Gakuen Orchestra/George Pherivanian and many others. In addition to her concert engagements Nami Ejiri is in great demand for master classes which she conducted in 2005 and is reengaged to repeat in 2006. The list of important engagements includes solo appearances at the Alte Oper, Frankfurt, Rheingau Musikfestival 2006 and a tour of Spain. Nami Ejiri is the most sought after artist also in solo recitals, music festivals as well as chamber music collaborations. Her recent appearances at such venues as Tokyo’s Suntory Hall in “Complete Chopin piano works concert”, Poland’s Chopin Festivals in Duszniki and Krakow, Mexico’s Cervantino International Festival, German’s Mosel Festwochen and Weseler Klaviersommer, Italy’s Bocconi University concert series and Meranofest International Music Festival, and many others in Hamamatsu, Lugano, Sintra, Darmstadt, garnered Nami Ejiri world-wide critical and public acclaim, superlative accolades and numerous reengagements. In 2004 the Vianna da Motta International Competition invited her as a honor observer. Nami Ejiri’s recitals are broadcasted on radio and TV programs in Germany, Japan, Portugal and USA. A native of Tokyo, Nami Ejiri completed her piano studies at Toho Gakuen in Tokyo with Prof.Yoshimi Tamaki and Prof. Genichiro Murakami, and was advised by great masters like Takahiro Sonoda, Kouichiro Harada, Nobuko Imai, Henriette Puig-Roget, Sequeira Costa and others. 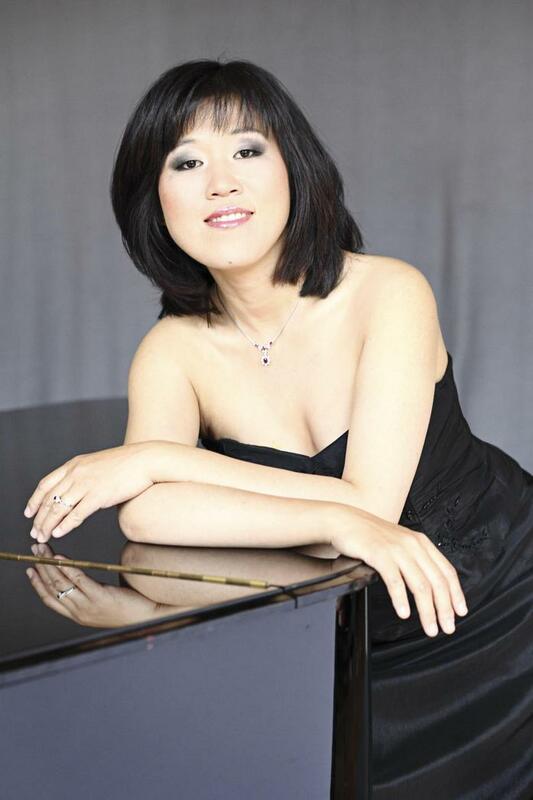 She participated in music festivals in Lugano, Merano, Paris, Salzburg and Warsaw. At present Nami Ejiri lives in Frankfurt am Main, Germany where she perfects her art in the masterclass of Prof. Lev Natochenny a former student of the legendary Lev Oborin.